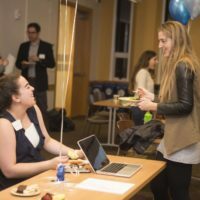 On Feb. 4, the Center for Teaching will hold a Celebration of Learning, an exhibition of students as producers. 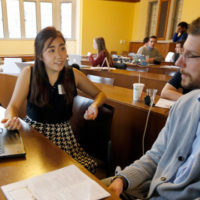 Research projects and design initiatives, podcasts and documentaries, candle-making devices and board games, clothing catalogs and virtual reality simulations—these and more will be on display in Alumni Hall from 2 to 4 p.m. 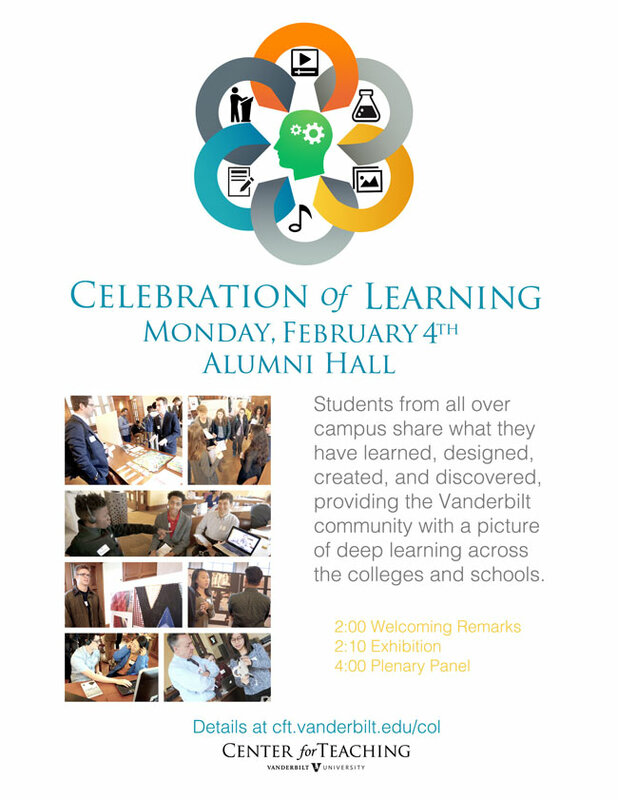 Faculty, students and staff are invited to stop by and get a snapshot of what Vanderbilt students have learned, created, designed and discovered across campus. 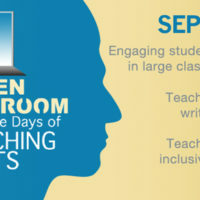 To learn more and to RSVP, visit the Center for Teaching website.